The Criterion Collection often get flack when they select genre movies to include in their “continuing series of important classic and contemporary films”. There’s always been a slight touch of snobbery among true Criterion believers – this is about “art”, about establishing the canon. But there’s wiggle room in Criterion’s mission statement: “important” might not necessarily mean great or refined art. Cinema, after all, is and always has been a battleground between art and commerce. Personally, I’ve never had a problem with the company stretching to include occasional low-art commercial titles. Films like Irwin S. Yeaworth Jr’s The Blob, Arthur Crabtree’s Fiend Without a Face, the four movies from Fiend producer Richard Gordon in the Monsters and Madmen box set, the amateur effects film Equinox, even Michael Bay’s Armageddon and The Rock all represent something of interest in film history. One of the problems, of course, is that even a company as busy as Criterion has limited resources and must pick and choose what to release to the exclusion of many other films. But because of Criterion’s prestige, there’s a tendency to want those choices to be in some way definitive. 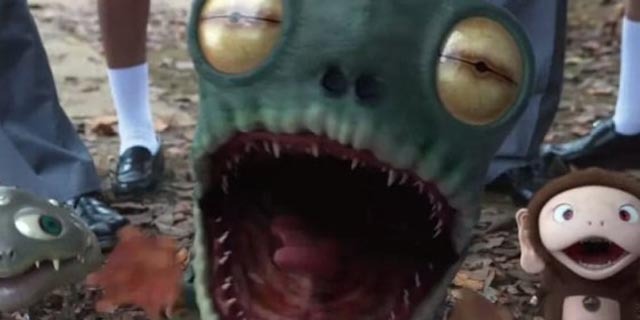 Which is why there has been a new wave of complaints about the recent release of Takashi Murakami’s Jellyfish Eyes (2013), a Japanese fantasy which uses CGI to create a host of critters interacting with school children in a small town. Why this film? Why this filmmaker? Japanese genre cinema has been vibrant and inventive for decades, so what makes Jellyfish Eyes more worthy than the work of, say, Takashi Miike or Sion Sono? The answer this time lies in the booklet essay by critic Glen Holland. The film is the debut feature of an internationally prominent multi-media artist whose work mixes elements of history, folklore, politics and aesthetics. Does this make Jellyfish Eyes a better film than anything else available? Not at all, but the filmmaker’s position and identity give it sufficient value to make the effort worthwhile. 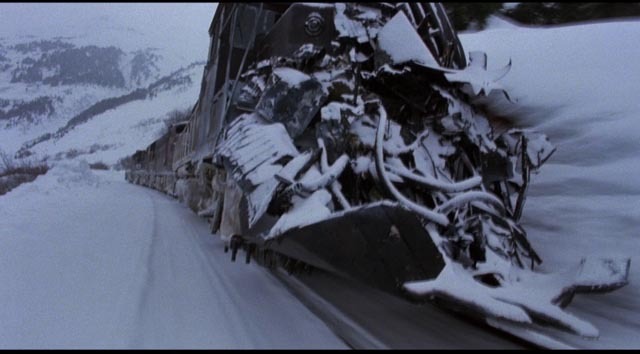 The secondary complaint I’ve seen concerns the film’s “terrible” CGI. Here, I think, the issue is more a matter of taste and expectation. The creatures in Jellyfish Eyes are mostly very cute, in line with a long tradition in anime; they appear like ready-made marketing ideas, squeezy plastic items which would fit nicely into a child’s backpack. That is, the complaints arise from a question of design, not quality. The animation, and the integration of the creatures into the live action, is actually very skillfully done. As for the film itself, it deals with young Masashi (Takuto Sueoka) moving with his mother to a small town soon after the death of his father (seen in dream/flashback being swept away by a Technicolor tsunami). Masashi encounters an odd little creature which is something like a cross between a jellyfish, a mushroom and a flying umbrella, which turns out to be one of many in the neighbourhood, each attached to one of the local children. Masashi and Kurage-bo (as he calls it) form a natural bond, while all the other kids control theirs with a small handheld electronic device. These have been supplied by a mysterious group from a local lab doing sinister research. What gradually emerges is that this group is using a force generated in the lab to feed off the kids’ anger, creating a massive negative energy which – it seems – they hope will sweep everything away to pave the way for a fresh start for the world. The affectionate, non-violent bond formed by Masashi and Kurage-bo throws a wrench into their plans, offering a positive counterforce. I found the underlying themes a bit vague, but that may in part be due to obscure Japanese cultural elements which I’m not attuned to. Nonetheless, the film works on the level of child-centred fantasy, evoking an atmosphere at times reminiscent of Miyazaki and Studio Ghibli, while the initial situation strongly resembles Hirotuki Okiura’s A Letter to Momo (2011), drawing on the traditions of folklore involving the Yokai, spirits which live in parallel with humans, occasionally interacting but in general not particularly interested in our doings. Jellyfish Eyes fits comfortably into a long-standing tradition of Japanese popular culture and works well both dramatically and visually as a representative sample of that tradition. The darker themes which have been woven into it, however, despite Glen Holland’s argument in the essay, seem only tangentially connected to the consequences of the Fukushima nuclear disaster caused by the 2011 earthquake and tsunami. The social, psychological, ecological and political fallout from that incident get a deeper and more profound treatment in Sion Sono’s Himizu (2011) and The Land of Hope (2012). The latter in particular would make an excellent choice for a Criterion release. The disk’s extras include a 22-minute interview with Murakami in which he links the film to his childhood experience of Japanese fantasy television shows like Ultraman, which he suggests tended to show adult helplessness in the face of large scale threats (monsters, aliens, disasters). 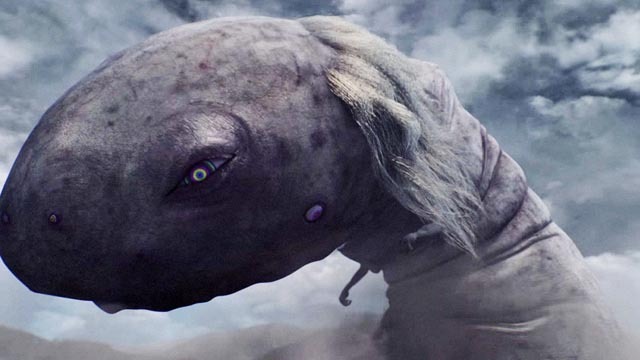 There’s also a brief featurette on the design of the film’s creatures and a 39-minute behind-the-scenes documentary. 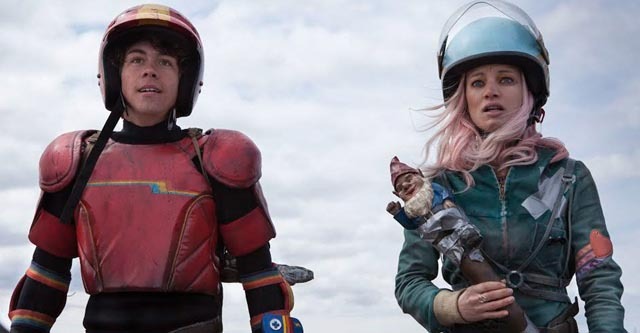 If Murakami uses genre to serve other concerns, the three writer-directors of Turbo Kid, a Canada-New Zealand co-production, dive gleefully headfirst into genre for no other reason than that it’s fun. 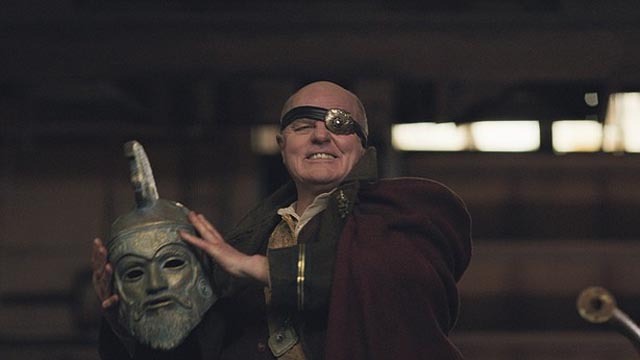 An almost note-perfect pastiche/homage to the low budget Mad Max-inspired post-apocalyptic adventures which littered the theatrical and direct-to-video landscape of the ’80s, Turbo Kid works not only as an extended joke, but also as a surprisingly engaging story in its own right. Munro Chambers as The Kid, without a single nod to irony, even looks like someone from the early ’80s as he explores the wasteland on his BMX bike scavenging for items to trade for water at the local bartertown. The characters he encounters there are pretty stock, but all are played with a mix of sincerity and humour – the trader who doesn’t try too hard to cheat him; Frederic (Aaron Jeffery), the imposing arm-wrestling stranger who we know will soon be standing up to the bad guys; and the leader of those bad guys, Zeus, appropriately played by none other than Michael Ironside, who provides a direct link to the movie’s inspirations. The Kid is unwillingly hooked up with the initially irritating, creepily perky Apple (Laurence Leboeuf), a strangely naive but very persistent girl who gradually grows on him (and the audience) as things get dangerous. Frederic loses a hand for his opposition to Zeus; The Kid and Apple end up with Frederic in a cut-rate arena where we learn that Zeus’ victims are the source of the water he sells (leading to a nice throwaway line when The Kid tells the peddler that “the water is people”). Not surprisingly, flashbacks reveal a prior connection between The Kid and Zeus, while The Kid gets to take on the identity of his comic book hero, Turbo Rider. The pace is fast, the dialogue surprisingly witty, there’s plenty of action, some fine design details (particularly Zeus’ masked henchman Skeletron [Edwin Wright]), and even some authentic emotional moments. The look and tone reveal the filmmakers’ knowledge of and affection for the genre, the only slightly false note being an excess of CG gore effects – a greater reliance on lower-tech on-set physical effects would have been more appropriate, but it’s not enough to undermine the pleasures provided by all the other elements. Turbo Kid is definitely a fan-oriented movie, made by and for people who fondly remember the days of Damnation Alley, Battletruck, Deathsport, 1990 The Bronx Warriors, Night of the Comet, Cherry 2000 and countless others. Perhaps the most surprising thing about it is that it’s better than most of the movies it emulates. The story of the two cousins and their frontal assault on Hollywood is told at a breathless pace by Australian filmmaker Mark Hartley. This worthy follow-up to Not Quite Hollywood: The Wild, Untold Story of Ozploitation (2009) uses copious film clips and multiple interviews with people involved with Cannon to illuminate life on the edges of mainstream filmmaking from the ’70s to the ’90s. If anything, it’s a little too breathless; edited so tightly that there are times I just wanted Hartley to pause for a moment to let something sink in. But that’s really just a minor quibble. This documentary is terrifically entertaining and it actually made me want to go back and see some of those Cannon movies again (even though I know deep down that they were often pretty wretched). I was even tempted to pick up the recently released 10-movie Cannon Films Collection (which includes Hartley’s doc as a bonus). But so far I’ve resisted, hoping the price will eventually drop. This entry was posted in Review and tagged Action, Actors, Blu-Ray, Canadian Film, Criterion, Directors, Documentary, Fantasy, Japanese Film, Science Fiction, Violence. Bookmark the permalink.